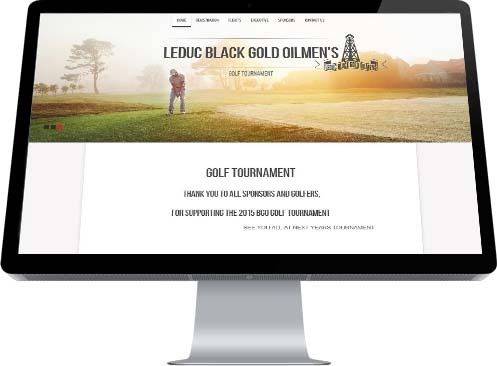 The businessmen associated with Leduc-area oil extraction decided they should have an annual golf tournament to create networking opportunities and to develop a sense of community within their industry. To that end, the group's board decided a website was essential to promote the event to their fellow rig folk. Originally designed as a minimalist site with just a couple of pages, it now includes such important elements as a sponsors page, which helps promote their financial supporters and encourage them to continue with their funding.